You have probably heard of an ulnar collateral ligament sprain before. But not likely in these terms. Ever hear of Tommy John surgery? 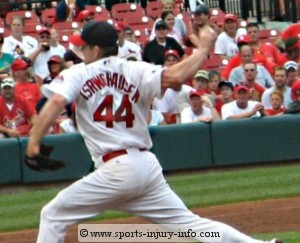 Well, this is the injury that results in Tommy John surgery. So what is a UCL sprain? Read on to find out. The ulnar collateral ligament is the medial ligament of the elbow. 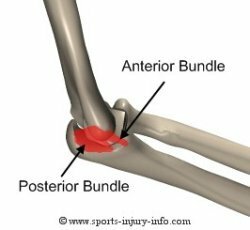 It is the primary statis stabilizer of the elbow, and it is commonly injured with sports activities, especially overhead throwing. The UCL is made up of two different bundles, the anterior and posterior bundles, as shown in the picture to the right. This elbow ligament helps to prevent excessive valgus stress to the elbow. What Causes an Ulnar Collateral Ligament Sprain? The most common way to injur the ulnar collateral ligament is with repetitive or forceful overhead throwing. This is especially true for pitchers, and those who throw off speed pitches like a curveball. This type of activity places a large amount of stress on the medial side of the elbow, and with enough force, can cause the ligament to tear. You can see to the left how movement of the forearm away from the body, or like with the rotation needed to throw the curveball can cause the ligament to stretch and tear. 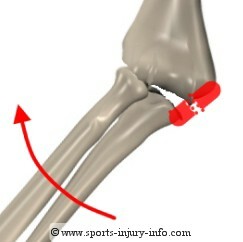 This is an extremely common injury among baseball pitchers, especially at the major league and collegiate levels. If you ask any pitcher or athlete who has suffered an ulnar collateral ligament sprain, they will tell you they knew when they had torn the ligament as soon as they did it. This injury is often associated with feeling and or hearing a pop in the elbow, followed by immediate pain, mild to moderate swelling, and a sudden decrease in throwing velocity. 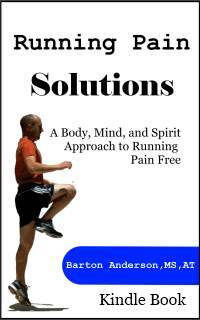 The injury may be very painful, or it may not have much pain at all. Many times, especially at lower competitive levels, the elbow is rested for several days, the R.I.C.E. Principles are followed, and it starts to feel better. As soon as they try to throw again, it is obvious that something is wrong. An ulnar collateral ligament sprain is diagnosed by your physician or athletic trainer through both a thorough history of the injury, clinical tests, and usually an MRI. Your physician can determine the severity of the sprain by performing ligament stress tests. Depending on the severity of the sprain, different treatment options are available. Grade I and II UCL sprains are usually treated conservatively. Ice, compression, and rest from throwing are the first treatments. You should also be placed in an elbow brace that limits your range of motion. This is important because you need to limit the amount of stress on the healing tissue, in order for it to scar and tighten up. If treated correctly, it is possible to avoid surgery. Grade III sprains are generally treated in the same manner at first, with eventual reconstruction of the ligament. While an ulnar collateral ligament sprain used to be a career ending injury, Tommy John surgery has now become very common and very successful in returning pitchers and overhead throwers to their sports activities, often as strong as they were prior to injury. Your physician will determine your best course of action and treatment options based upon your specific injury. Ulnar collateral ligament sprains are serious elbow injuries and must be treated correctly in order to be able to return to your sports activities. Grades I and II may be able to be treated conservatively, while Grade III sprains usually require surgery. Successful treatment often yeilds excellent results.